Russia’s newest small missile corvette Karakurt (project 22800) packs a formidable arsenal, including multipurpose missile launchers, an automatic cannon, an air-defense missile system and powerful electronic-warfare systems. 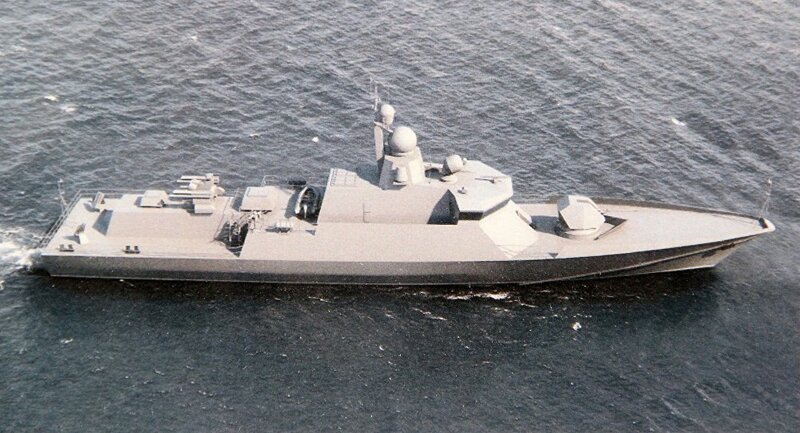 In terms of firepower, the Karakurt-class corvette will outperform the Buyan-M missile boats, but will be much smaller. The sip was designed by the Central Naval Research & Design Bureau "Almaz" in St. Petersburg. The flagship of the project is being constructed at a shipyard in St. Petersburg. 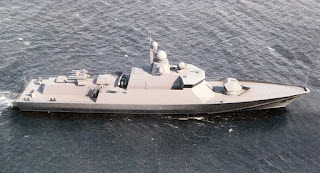 A total of eight Karakurt-class missile corvettes are currently under construction, and the Russian Navy plans to have at least 20 such ships in the coming years. Despite its size, the corvette boasts a versatile arsenal of advanced weapons, including the 3S14 missile launcher capable of firing Kalibr cruise missiles and Onyx supersonic anti-ship missiles. Don't know what to make of this one.